Movavi Video Editor 15 is an easiest program for making stunning videos, that consists all the video editing software tools you need in one great product. It allows you to join, crop, split, remove scenes, enhance video quality. Using Movavi Video Editor you can import media from different sources. It allows you to capture video from DV/HDV/AVCHD cameras, VHS, TV, apply filters, special effects and transitions. Also you will able to add soundtracks and titles. Moreover you can export videos from our video editing program to your mobile device. Just choose your device from the list and click ‘Save’! The Storyboard interface with image previews enables you to create video slideshows out of your photo albums. Add soundtrack or overlay your own voice. Finally, created slideshows and video projects you can save for PC/mobile or upload online. Also you can burn it to a CD/DVD/BD disc. With Movavi Video Editor 15 its done in a couple of clicks. Hence, maximize your ability to edit video with the amazing new Movavi Video Editor 15 video editing program! The Montage Wizard will quickly edit your video material and make an instant movie with the music of your choice. Filters – Liven up your movie with 160+ creative filters. Titles – Add simple or animated titles, adjust text settings. Transitions – Choose from 100+ transitions for video and still images. Effects – Use Slow motion, Reverse, Chroma Key, and other special effects. Built-in media. 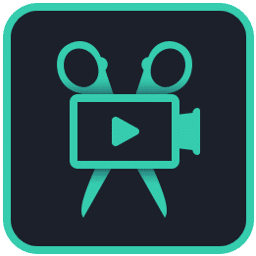 Use video clips, backgrounds, music, and sound from Video Editor library. Video stabilization. Remove motion distortion without affecting overall video quality. Picture in picture. Combine multiple videos on one screen. Audio editing tools. Adjust audio frequency, normalize audio, remove noise, apply special effects. Webcam capture. Record video from your web camera. Beat detection. Automatically detect audio rhythm to sync with the tempo of your project. Audio recording. Record your own voiceover via microphone, capture sound from musical instruments. High-level performance. Edit and export videos without delay, thanks to support for Intel hardware acceleration. Ability to combine several projects into one. Sharing files to Vimeo right from the program. Ability to open projects using the Add Media Files button. Handy animation presets in the Animation tab. Ability to enable AMD® hardware acceleration for faster performance. Ability to find missing or replaced project files faster. Updated Montage Wizard. Create videos with one of two themes, using specific music, titles, and transitions; add opening and end titles.